Women take a lot of heat from guys who don’t understand why we need so many shoes, including at least one pair that we’ve never worn. Sure, it doesn’t make sense. To you. But, it does to me, so shut up about the shoes. 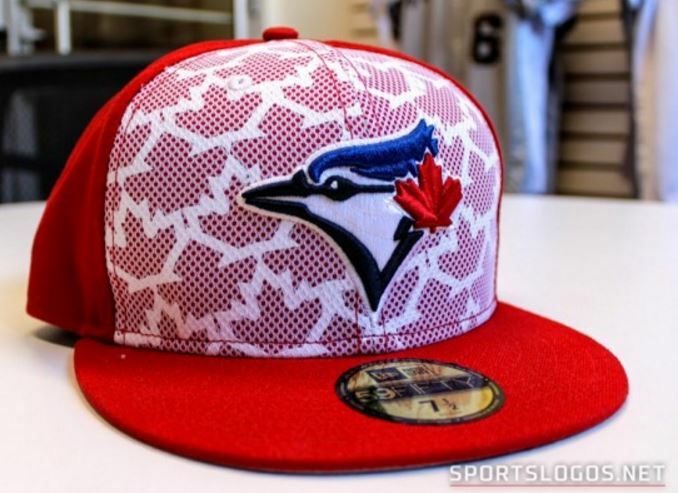 If you want to rag on fashion, how about Major League baseball? 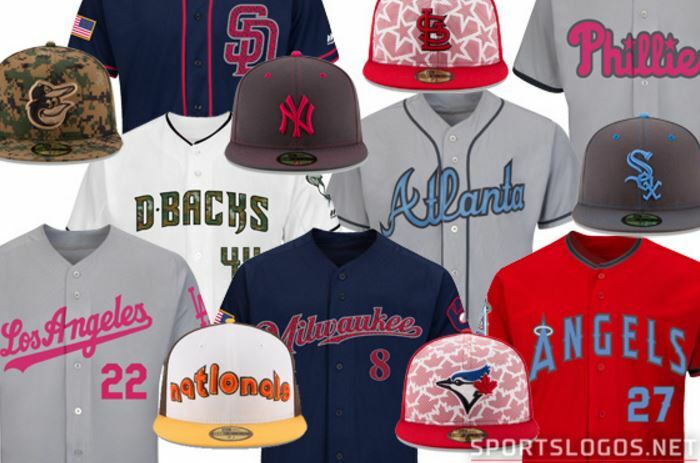 Because in 2016, the 30 teams will wear all sorts of specialty uniforms – throwback days that nearly every team has, and league-wide celebrations of holidays and special events, including Mother’s and Father’s Day, Memorial Day, the Fourth of July, the All-Star Game, and even the Home Run Derby, which isn’t even a game, but three hours of watching your favorite player destroy his swing for the rest of the season. Teams will wear each of these special jerseys and caps for one day and that will be that. So before you make fun of what women keep in their closets, be advised that while we, on average, do have something tucked away on a hanger that we only wore once (and maybe, kind of, regret now), Major League Baseball has given every player lots of wear-it-once jerseys and caps – in addition to their regular three or four home-and-away uniforms. But, I like the effort. Good for you, baseball. Unfortunately, the jerseys are, for the most part, meh. You can check out every single one that will be worn by every single team this season here. I can still see the logos, so that’s lousy camouflage if you ask me. 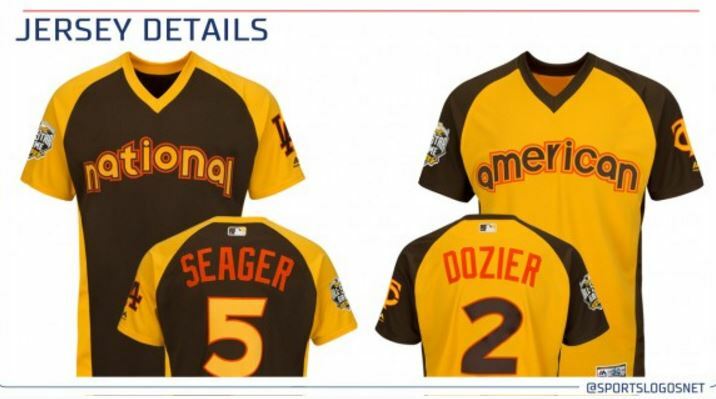 I do like the Home Run Derby jerseys which will be worn during this year’s All-Star Game festivities – but not the actual game – in San Diego. They pay homage to the 1970s-era Padres and their very, um, 1970s sense of fashion. In an era that churned out way too many baby blue leisure suits, elephant bell bottoms, and boxy crocheted vests, there’s something warm and retro-sweet about that Padres’ brown-orange-and-mustard combo. It reminds me of my mom’s kitchen. 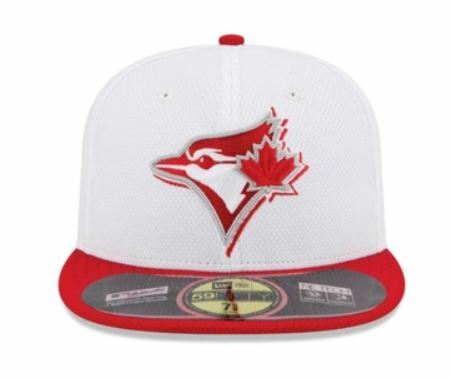 Sure, I could complain about the Fourth of July and these dull star-speckled caps, but I think I do that every year around this time, mainly because I’m curious to see how the Toronto Blue Jays will celebrate a holiday that doesn’t belong to them. A bunch of stars for 29 teams. A bunch of maple leafs for Toronto. It’s supposed to look like mesh, I suppose, but it reminds me of those old dot-matrix printers that you might be too young to remember. 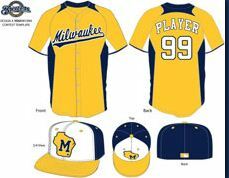 The throwbacks that many teams will wear throughout the season are way cooler. 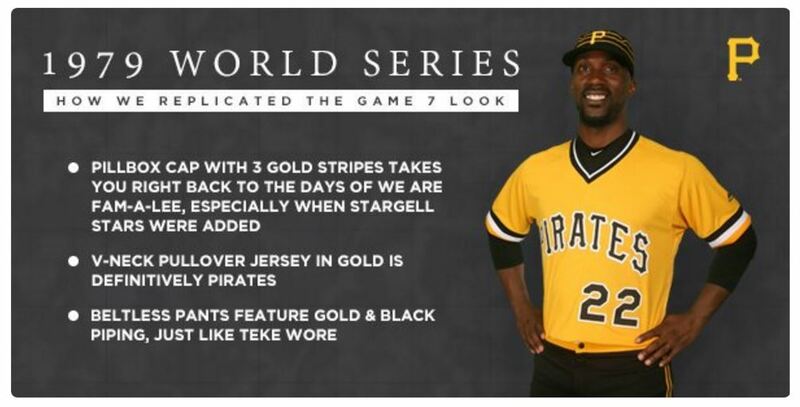 Like the Pittsburgh Pirates in their Stargell-era uniforms that they are wearing on Sundays. Awww, it’s the pillbox cap! But, the coolest of all are those that turn up each season in the minor leagues. 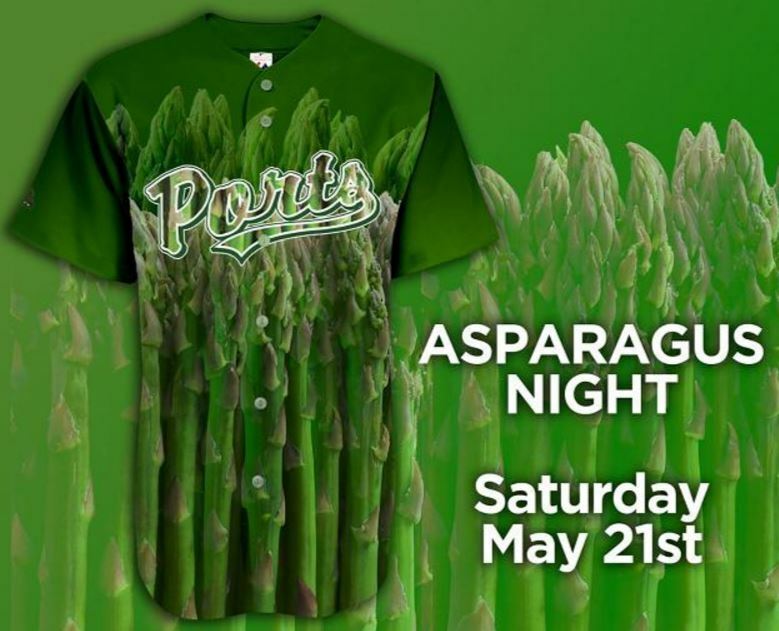 Like the Stockton Ports who recently celebrated Asparagus Night. 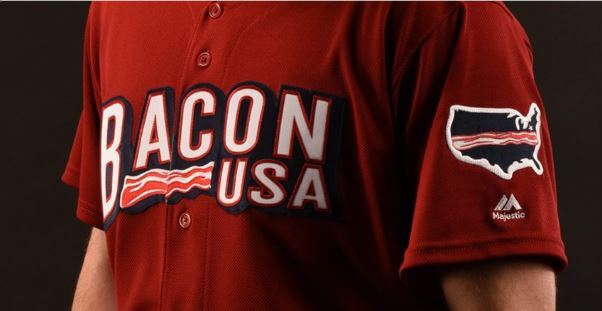 And, the Lehigh Iron Pigs who celebrate bacon every Saturday. 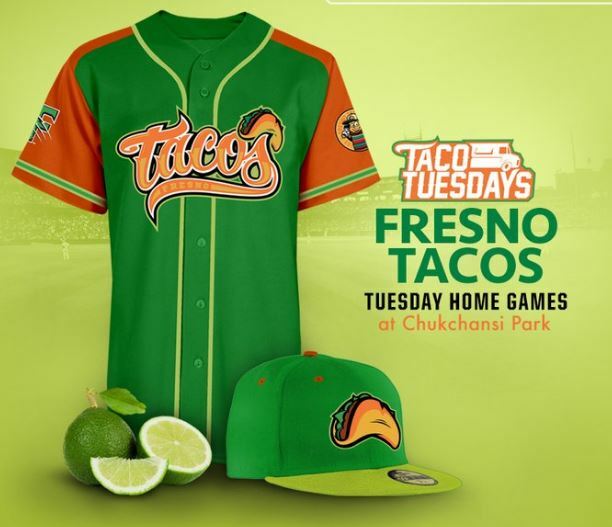 And, the Fresno Grizzlies who celebrate tacos every Tuesday. If your team is in a mid-season tumble (what, just me?) it might be wise to simply coast through these next few days … close your eyes and crawl to the All-Star Break and hope your team’s bats and fastballs warm up on the other side. While you’re busy ignoring your team’s little mini-implosion, which I’m sure is just temporary and won’t slow them from their destiny run to the World Series in October, how about helping out the minor leagues? Plus, who doesn’t like to vote online? 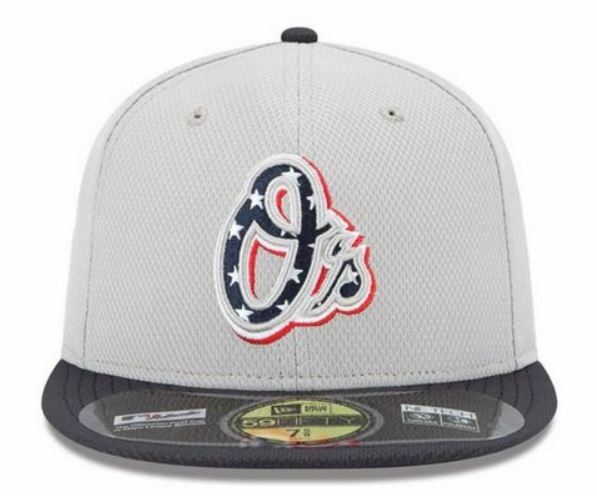 Minor League baseball would like to know which minor league team – and there seem to be tens of thousands of them – has the best cap in the game. Now, you might think the easy thing to do would be to just ask me. If people would just ask me who has the best cap*, we wouldn’t have to go to all the trouble of voting. And, vote for your favorite cap. Once you vote, another two caps will appear and you can vote again. And,again. There seems to be no limit to the number of caps you can view and vote on. You could, presumably, vote all day and I seriously encourage you to do that, because it’s so much better than other things you could be doing on the Internet, like watching stuff like this. That’s 28 seconds of your life you’ll never get back, but more important, you could have voted three times in that span. * I’m still waiting for someone to ask me. 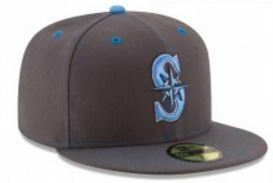 Because if they did, I would tell them the best cap in minor league baseball (possibly the best cap in the entire world) is this one. 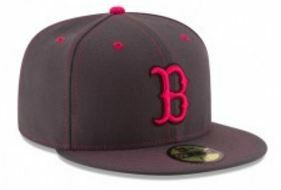 Isn’t there a Baseball Bloggess in your life who deserves that cap? Dear Montgomery Biscuits, You came so close. So very, very close. Baseball is the perfect way to spend your Independence Day. But, just in case your guys are the away team today (Dear Orioles, did you forget to pack your bats before you left for Chicago? ), here’s some Free Baseball* to keep your game red, white, and blue. We are a nation of mega-mansions, monster trucks, and hotdog eating contests. More is always better. And, because five Racing Presidents weren’t enough for the Washington Nationals, we now have six. Welcome Racing President Calvin Coolidge! Coolidge joins Washington, Jefferson, Lincoln, Teddy Roosevelt, and Taft. But, President Coolidge did say: “Baseball is our national game.” Which is about as generic as you can get, but apparently is enough to get a 40-pound felt head built in your likeness. Oh, and he’s the only U.S. President born on the 4th of July. Happy Birthday, Cal! Legendary Dodgers broadcaster Vin Scully can call a game all by himself – no need for color guys. And, he still has time left over to teach you a little history. During last night’s Dodgers-Mets game Vin shared some Star-Spangled Banner stories. 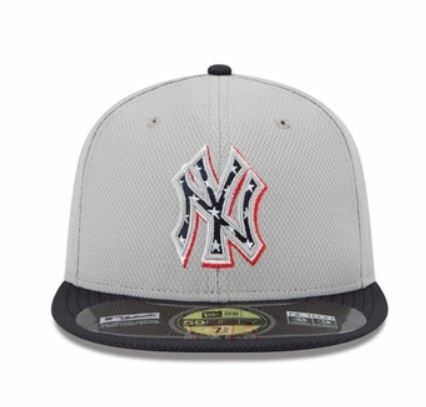 As usual, all players will wear special 4th of July caps today. Look, everything’s stars and stripey! And, don’t worry Toronto Blue Jays, it may not be your special day, but we’ve got something for you, too. Awww, it’s your maple leaf. On a cap. Happy Canada Day, three days late, Blue Jays! 13th Inning: Keep Your Critters Safe! One more thing … The 4th of July is great and so is baseball. 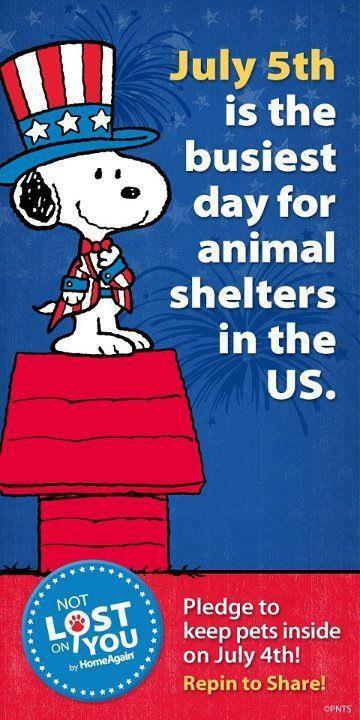 But, fireworks stink if you’re an animal. Keep your critters safe! * Free Baseball refers to extra innings that come after a nine-inning game ends in a tie. Here it’s the extra things that don’t quite fit into my regular-sized posts. Friday, I wrote about poetry, and the poetry of a perfect play in baseball … a motion that is beautiful and effortless and just-so. But, for every bit of perfect poetry, there must be an equal and opposite reaction. And so, to even things up this week, there was this. Of course, players somewhere will try to straddle the line between poetry and fauxetry. 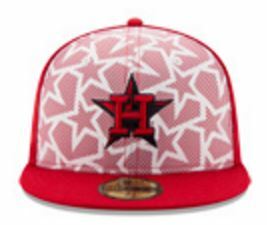 If you put your team in throwback 1970s-era Houston Astros jerseys, don’t be surprised when this happens. No, wait. I’ll decide. My blog, my decision. Houston Astros wearing hideous, yet strangely kind of cool 1970s jerseys grooving in the dugout? Even AL batting leader Jose Altuve (.336) can’t not dance as he walks by. If it makes you dance … Poetry. Where In The World … ? 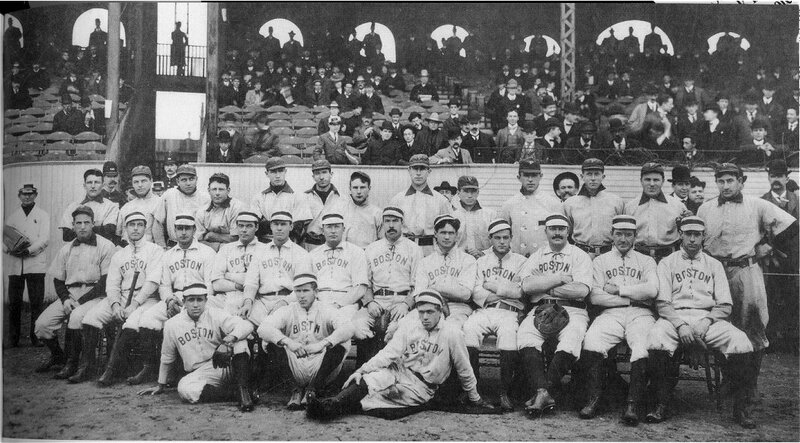 In 1903, the Boston Americans won baseball’s very first World Series. I know, I know – the “Americans” won America’s “World” Series. How not-very-worldly of us. My Canadian friend Susie (hi Susie!) always reminds me that Canada “invented” baseball. And, while that’s not exactly true, it is not exactly untrue either, and it’s quite a bit truer than Abner Doubleday’s claim, which isn’t true at all. But, what is true is that Jackie Robinson’s first professional integrated regular season games were played with the Montreal Royals, the Brooklyn Dodgers’ farm club. And, what is also true is that Robinson called Montreal one of his favorite places because the people there were “warm and wonderful” and treated the Robinson family with respect. So maybe “World” Series is a bit of a stretch. But, at least the world plays baseball. You want to talk about a stretch, how about calling the Winter Olympics the world’s games, when nearly half of the world’s population lives in countries that are snow free? Baseball is nearly everywhere today. And, while there is no baseball in Antarctica, there are penguins and you can click here to play baseball with them. Every other continent, not covered by an ice sheet, will have a baseball game going on in some field, or village, or town, or city, somewhere. And, the best of those players might get a chance in the big leagues. Just look at the free-agent multi-multi-million-dollar signings in recent months – Robinson Cano (Dominican Republic), Masahiro Tanaka (Japan), Shin-Soo Choo (South Korea). Spoiler Alert: The Baltimore Orioles will win the World Series this season thanks to their off-season pick ups of pitchers Ubaldo Jimenez (Dominican Republic) and Suk-min Yoon (South Korea), and veteran power hitter Nelson Cruz (Dominican Republic, again). They will win despite the fact that they nearly signed, and then quickly unsigned, Grant Balfour, a seasoned, but moody, reliever from Australia. The 2014 baseball season began this weekend in Australia when the Los Angeles Dodgers and Arizona Diamondbacks kicked off their first game at 4 a.m. EDT on Saturday. I am an insanely passionate baseball fan. But, I did not get up to watch. The Orioles will play 162 regular season games in 2014, and I will try to watch them all (except when they’re on the West Coast playing and I’m on the East Coast sleeping). There will be plenty of baseball that doesn’t require a 4 a.m. pot of coffee. That said, boy oh boy, the Dodgers’ Clayton Kershaw looked sharp. Clayton Kershaw, sometime around 4 a.m. EDT on Saturday. Here’s legendary Dodgers’ broadcaster Vin Scully with a koala bear. The two games this weekend were held at the Sydney Cricket Ground that was reconfigured for baseball. The New York Giants and Chicago White Sox played an exhibition game there way back in 1914. The Giants won that game. The Dodgers swept the Diamondbacks this weekend. One of the fellas at the MLB channel called the Cricket Ground a mix of World Cup and Wimbledon. I love baseball’s international spirit. I love that players come from all over, and a team may have two or three translators hanging around the dugout to help everyone communicate. Players from Japan and the Dominican Republic and Cuba are some of the best players in major league ball today. But, baseball also thrives closer to home in Indian Nation. I just discovered that Jacoby Ellsbury and Joba Chamberlain are Native American. National Public Radio’s Only A Game had a wonderful story this weekend about baseball and Navajo Nation. Click here. This season, the Class A Spokane Indians will honor the tribes of the Pacific Northwest by wearing the Native American Salish language on their jerseys. Baseball season is finally here. You know what to do. Root for your “home” team … whether it’s the Baltimore Orioles (whoo!) or the Toronto Blue Jays (hi again Susie! ), or an outfielder from Cienfuegos, Cuba or an infielder from Puerto Cabello, Venezuela, or a pitcher from Habikino, Osaka, Japan. Or, the Sp’q’n’i … yeh, especially Sp’q’n’i. Oh, Washington Star, you have no idea. No idea what “insipid enervating amusements” your great-great-great-great grandchildren will come up with. No idea. We name our children North West, for heaven’s sake. You really have no idea. But, you’ll be pleased to know that baseball is pretty much the same. 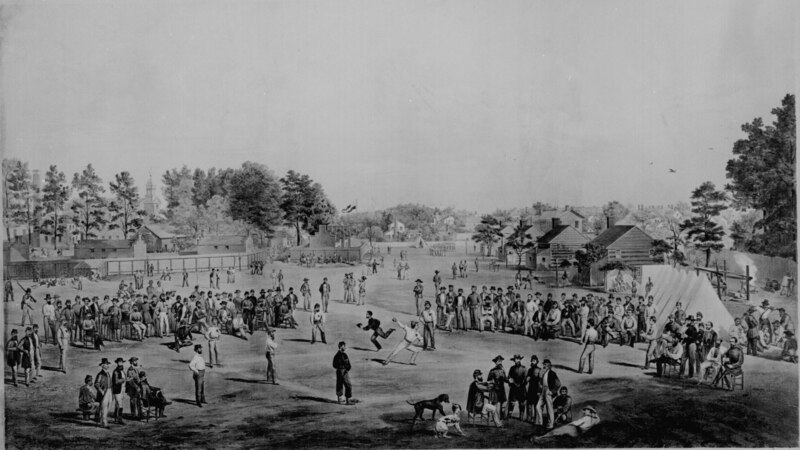 While baseball’s beginnings go back much further, it was the Civil War that helped turn baseball from a regional, neighborhood pastime – complete with myriad, often vague, sets of rules – and into a pretty standardized game. That game, base ball, helped pass time during wartime and was taken home across the nation into peacetime. 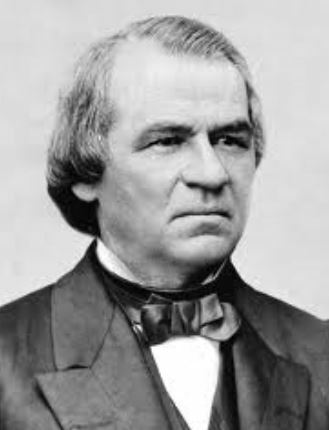 It’s said that President Andrew Johnson was the first sitting President to watch baseball games during the 1860s. “Johnson indulged few recreational activities [but] he came to appreciate baseball, which was well on its way to becoming America’s past time. On occasion, the President took time to watch pickup games organized on the South Grounds of the White House,” according to Jeffrey K. Smith in The Loyalist: The Life & Times of Andrew Johnson. All 30 major league teams are scheduled to play today … all decked out in the stars and stripes. 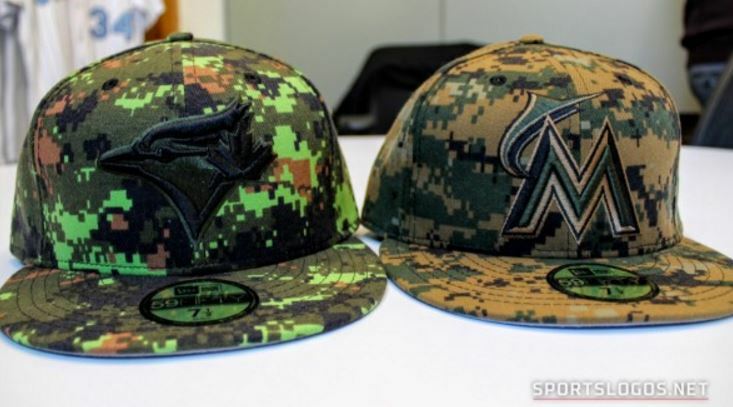 Each team will wear special “Independence Day” caps. And, the New York Yankees. (I am sharing the Yankees cap with you so I can take this opportunity to report that the Orioles swept the Yankees last weekend. Go O’s!) And, the Cleveland Indians. Wait. That can’t be right, can it? 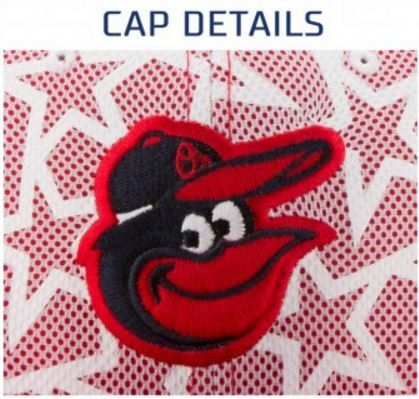 Yes, Major League Baseball apparently thought it would be appropriate – possibly even cute – to paint Chief Wahoo in the stars and stripes. I’m not even comfortable writing this. But, hey, MLB, we all make mistakes. 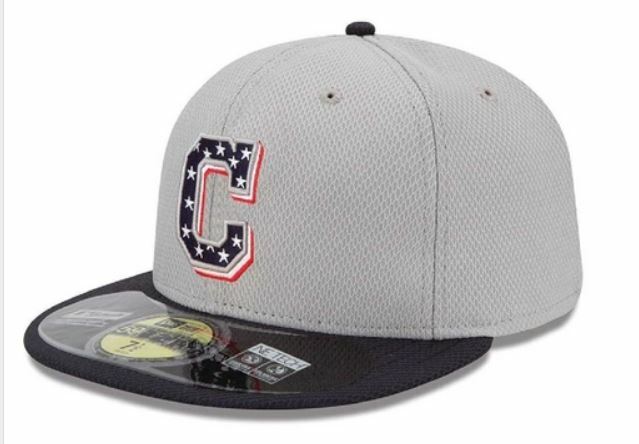 And, so, here’s the new Cleveland cap you’ll see today. And, if you’re a Toronto Blue Jay? Fear not, no stars and stripes for you today. Your maple leaf is quite fetching! 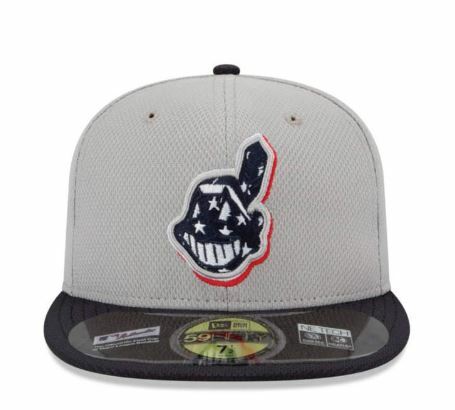 So, tip your cap today to the sport that is our “nation’s game.” Chances are, you’ll be tipping a baseball cap (but hopefully not that Chief Wahoo one). And, have a happy Fourth of July! 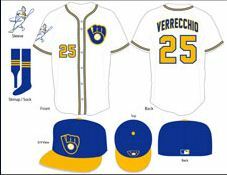 Help The Milwaukee Brewers Get Dressed! 1) I’m not really a Milwaukee Brewers fan. About all I know about the Brewers is that they were, at one time, an American League team, and that at some point in the late 1990s, Orioles non-legend Ben McDonald pitched out the end of his career there. I also know that they began their life as the Seattle Pilots (which in the late 1960s enjoyed its one season as a major league team, but is forever remembered thanks to Jim Bouton’s bawdy book Ball Four, which my dad finally let me read when I was 30). 2) I have a degree in political science. This shows itself whenever there is an opportunity to vote. Voting is my democratic right. I will vote for anything. Primary. General Election. I will vote for American Idol. If I’m sitting in a meeting and someone says, “It’s time for lunch, let’s take a vote, pizza or sandwiches?” I get very excited. I take my duty seriously. If there is an opportunity to vote, I will vote. 3) I think baseball uniforms are oddly, weirdly cool. I think the Seinfeld episode about changing the Yankees’ uniforms from polyester to cotton (and featuring Zen Master Buck Showalter) is Gold, Jerry, Gold! Watch the moment here. Zen Master Buck Showalter wasn’t always the Orioles Manager … once, long ago, he was on Seinfeld, and, oh yes, he managed a little-known team called the Yankees. I’m ready to vote. I’m going with Ron from Maryland. I’m so glad you asked why. 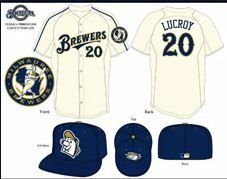 I like that throwback Milwaukee Brewers logo. I like that bright blue. I like that Ron included socks. And, I like that Ron is from Maryland — maybe he’s really an Orioles fan just killing time until Spring Training. Good enough for me … Vote Ron! To vote, just visit the Major League Baseball website, which you can do by clicking here. You have until January 22.